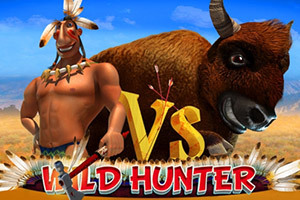 Overview: Wild Hunter is a 5-reel, 3 row, 9-bet line video slot featuring 2 Wild symbols, 3 different Scatter symbols, and Free Spins. Get your hunting adventure started. Watch out! The Wild Hunter is not very friendly with strangers. 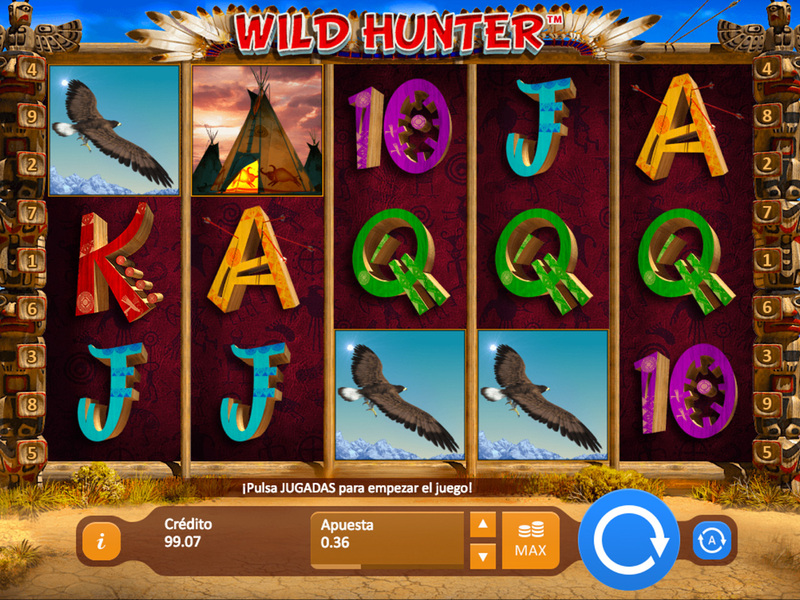 Wild Hunter is a 5-reel, 3 row, 9-bet line video slot featuring 2 Wild symbols, 3 different Scatter symbols and Free Spins. Wild symbols substitute all symbols except the Scatter symbol and can appear on any reel. The Tomahawk will fly across the screen from left to right and move to the right by one reel with each spin during Free Spins mode, it serves as a Wild symbol in the reel space in which it lands. Tomahawk Scatter transforms into the Wild-Tomahawk, flies across the screen from left to right and moves right by one reel with each spin during Free Spins, it serves as a Wild symbol in the reel space in which it lands. Scatter combinations are paid in addition to line combinations and multiplied by the total bet. Tomahawk Scatter plus the Bull Scatter in any position will trigger 10 free spins. The Tomahawk icon beside an Eagle symbol activates the multiplier from x2 to x50.